When both the tooth and root are damaged, the best permanent replacement is by surgical placement of a dental implant by your Oral Surgeon. After a period of healing, your dentist will restore this implant with a crown (tooth). This solution both looks and functions just like a natural tooth. Your dentist can fabricate a traditional bridge, which involves grinding down teeth adjacent to the missing tooth to support the bridge. A "floating tooth" is implemented at the missing tooth site. It is a relatively stable solution with good esthetics and function that is fairly easy to place. However, this alternative has two main disadvantages: continuous bone resorption in the edentulous area, and sacrificing healthy teeth on either side of the bridge. If one tooth on the bridge fails, the whole bridge can fail. 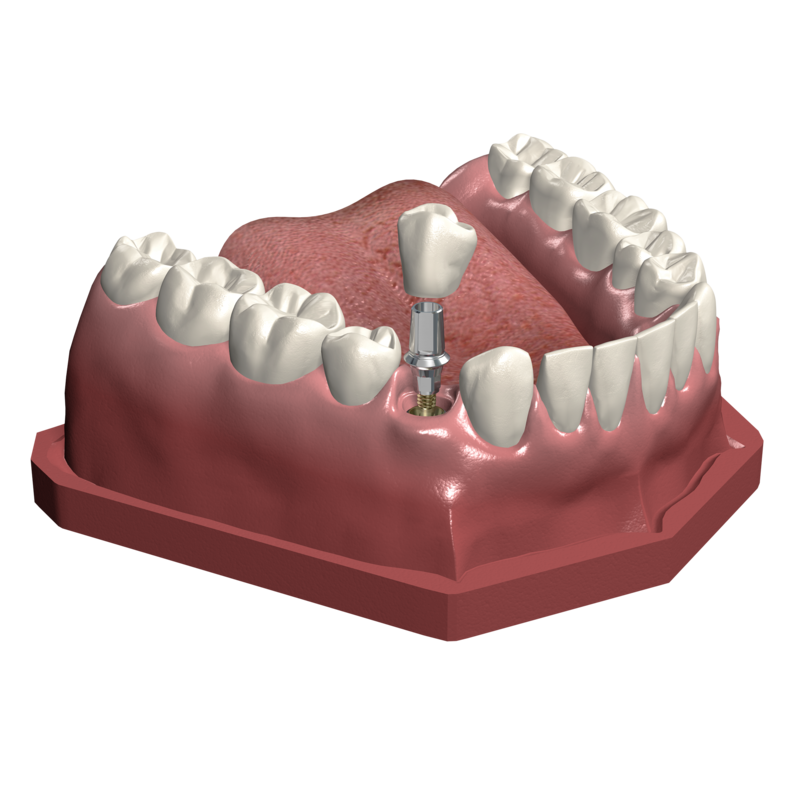 Your dentist can fabricate a removable partial denture. This is not a permanent alternative to a lost tooth. It is unstable and loosely attached, which affects both function and comfort. A removable partial denture is made of plastic – a material that can't create the same esthetic result as a ceramic crown. The benefits are few but do exist: It is easily and quickly installed and relatively inexpensive. Your dentist can fabricate and cement a resin-bonded bridge. This alternative has some clear advantages: it is quickly installed, functions well and it gives a reasonable esthetic result. Moreover, natural healthy teeth aren't affected. But it is not a permanent solution. The resin-bonded bridge will eventually come off – probably after just a couple of years – and will then have to re-cemented.